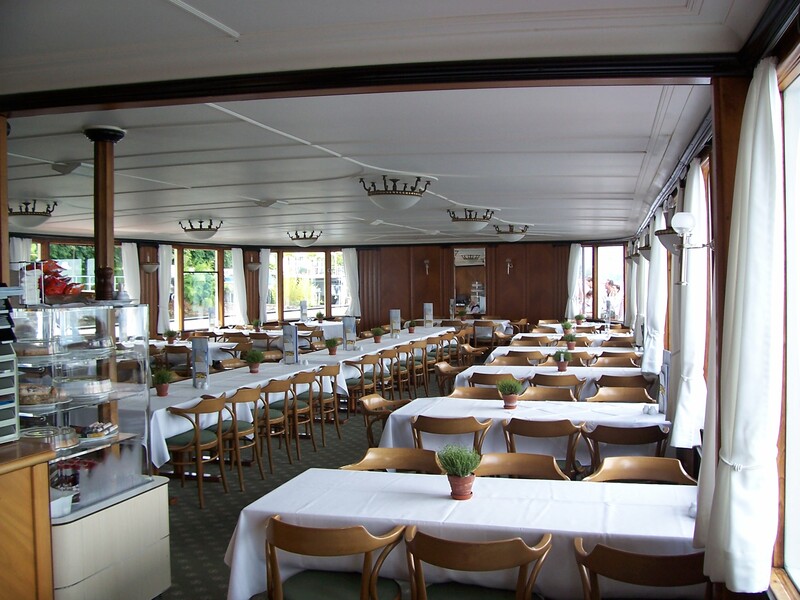 Paddle Steamer Stadt Luzern is the flagship steamer on Lake Lucerne. 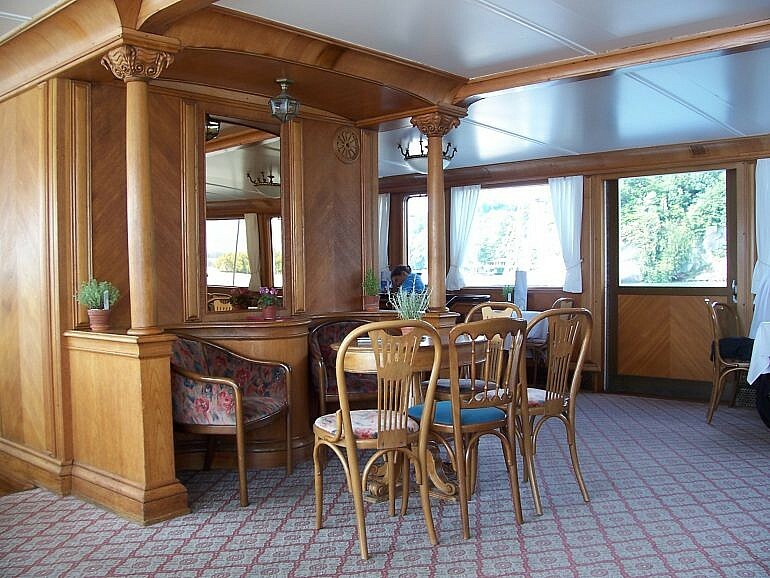 Built in 1928 she is the youngest Paddle Steamer in Switzerland and still operates with her original boilers. At the end of this sailing season the largest steamer in Switzerland will retire to her operator’s covered dry dock at Lucerne for a comprehensive refurbishment, some thirty years after she last received such major attention. Stadt Luzern's paddle box and funnel. The estimated cost exceeds £10 million and although it would probably be cheaper to build a new motor vessel, scrapping of any of the lake’s five paddle steamers is out of the question, such is their importance to the local tourist economy and the attachment that the local population has to their “Belle Epoque” vessels. Nevertheless, the local enthusiasts’ organization has been tasked with contributing around £4 million towards the cost. The Queen's Saloon situated on the forward upper deck. 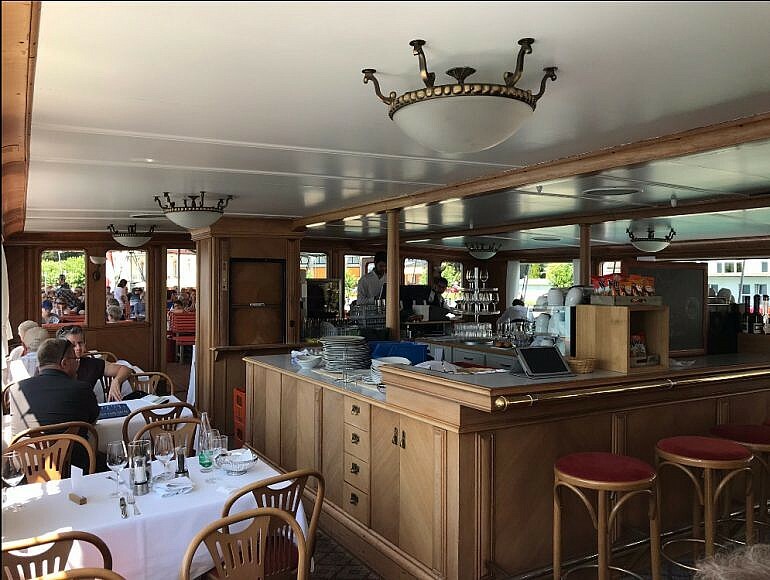 The luxuriously-appointed upper deck saloon and main deck restaurant aft, reserved for first-class ticket holders, makes Stadt Luzern no doubt the finest steamer in Switzerland in this respect. 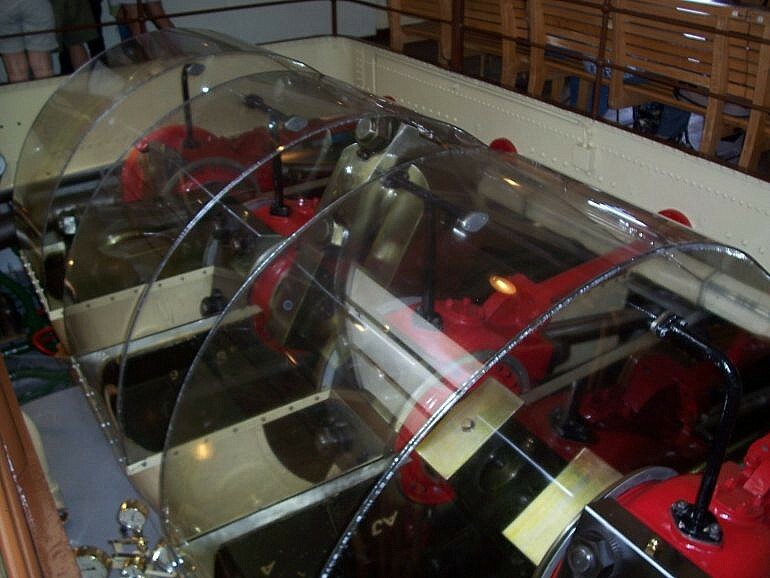 However, it is in the more spartan surroundings of the main deck amidships that those with an interest in steam technology might do more than just admire the spinning crankshaft and reciprocating connecting rods. The upper deck looking aft with the serving area. The main deck restaurant looking aft. The video uses footage recorded in July 2018 with views taken in the engine room showing the 90 year old boilers. 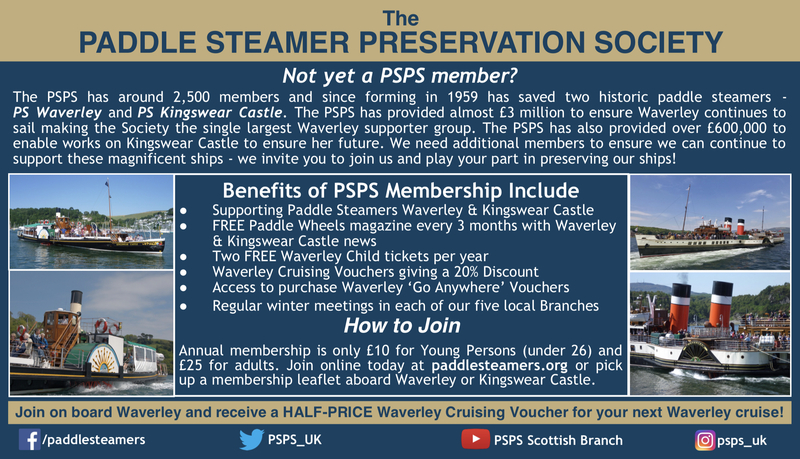 The first thing someone familiar with the Paddle Steamer Preservation Society’s own ship PS Waverley would notice is that the cranks are enclosed in a Perspex casing. 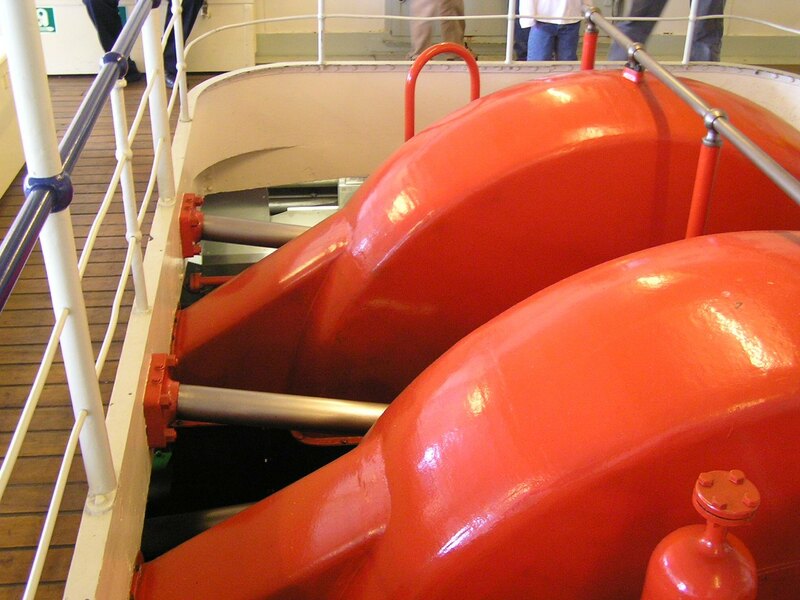 Whilst this detracts little from the spectacle of watching the engines in motion, anyone sailing on the ship before 1980 would not have seen very much at all as the cranks were originally encased in steel. 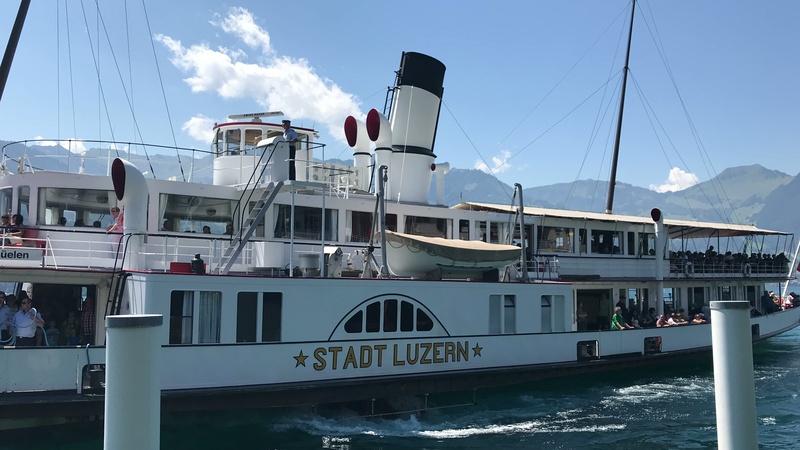 By 1980, paddle steamers and their machinery had become attractions in their own right, but when Stadt Luzern’s engines were built in 1929 such considerations were of much less importance. The famous engine maker Sulzer Bothers of Winterthur supplied this three-cylinder engine at short notice because the ship’s original, a conventional compound diagonal unit supplied by builders Sachsenberg Brothers of Rosslau on the Elbe in Germany, proved totally unsatisfactory during trials. She finally broke down completely on her first public sailing in her inaugural season, 1928. The new engine, at the cutting edge of steam technology, was based on a design which had recently been fitted in the Lake paddlers Helvetie (1926) and Rhone (1927). The engine room telegraph at full ahead on Stadt Luzern as viewed by the engineer operating the engine. 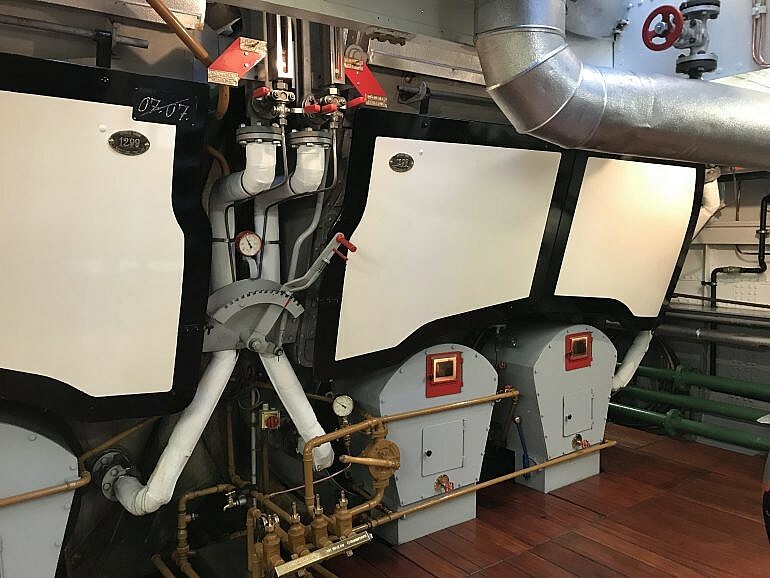 The original 1928 boilers on Stadt Luzern which will be replaced by a single boiler during her 2019/2020 rebuild. The new engine was of the “Uniflow” type, with three cylinders all of equal dimension, rather than the high, medium and low pressure cylinders of engines such as Waverley’s which increase in size as the pressure of steam used decreases. Steam is introduced to each end of each cylinder alternately and exhausted at the centre in one of a number of differences from more familiar steamer technology. The engines worked well although they were probably more powerful than the ship really needed. Why were the cranks encased? The lubrication of the cranks is automatic, dispensing with the familiar oil cups of old and without being enclosed, hot oil would spurt all over the ship’s spotlessly clean engine room and deck. Stadt Luzern, it turned out, was to be the last paddle steamer built for Swiss operators and the Uniflow engine was also the last development of paddle steamer technology at the time. After a long construction hiatus in the economically-troubled 1930s, economics and technology had moved on. Helvetie lost her original engines in 1975 but they are preserved at the Lake Geneva museum in Nyon. PS Rhone still has hers, albeit a smaller set with only two cranks, and it was not until 2011 that her operators saw fit to get rid of the steel casings and allow interested observers to catch a proper glimpse. Rhone's engine prior to the removal of the metal casings in 2011. At present, PS Rhone is undergoing her own major refurbishment, so the only chance to see Uniflow paddle steamer engines in action in Switzerland before the summer of 2021 is on Lake Lucerne, from now until October 23rd, when the 208 feet long Stadt Luzern is expected to make her final sailing of the year. 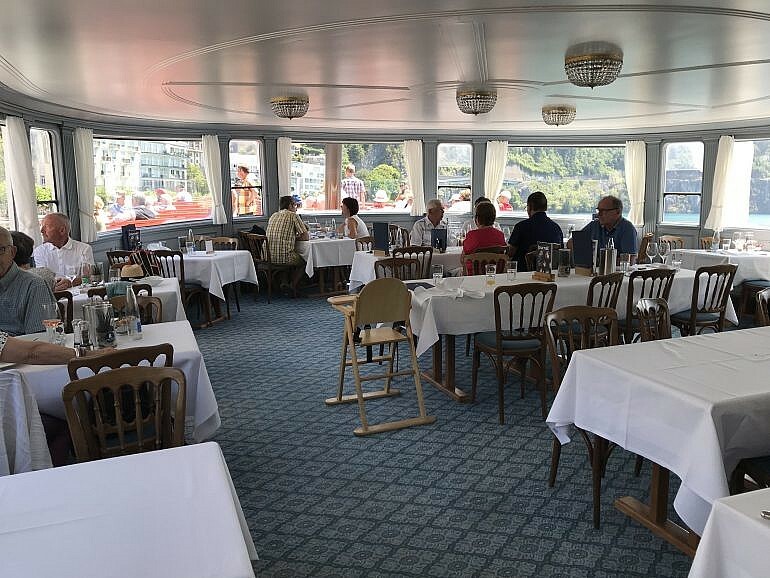 After August 20th, the autumn timetable sees reduced paddle steamer activity on Lake Lucerne, but PS Stadt Luzern is scheduled to continue operating daily on rosters 13 and 24, leaving Lucerne at 11:12, arriving back at 16:47 after a full lake cruise calling at numerous intermediate piers. The operator’s website provides regularly updated information regarding planned steamer rosters for the week ahead and should be consulted before making any travel plans. 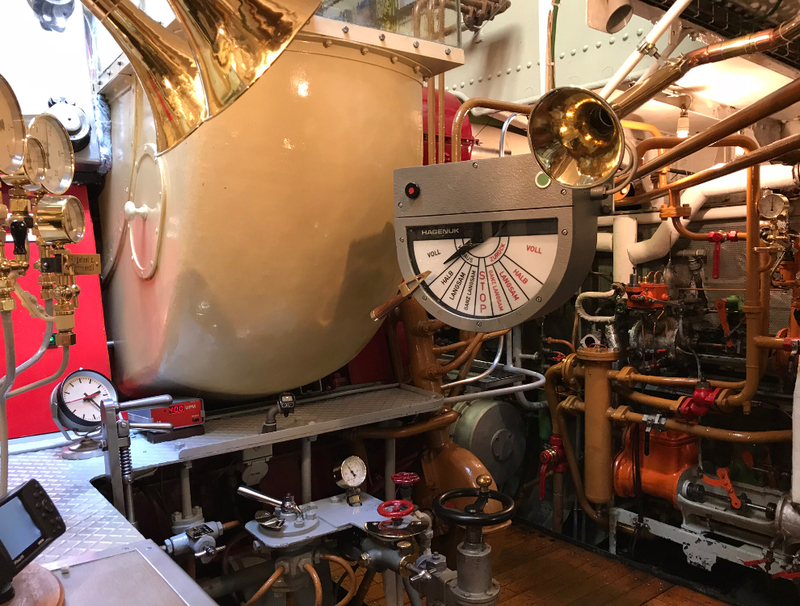 Information for this article and the picture of Rhone's engine was supplied by PSPS life member Gordon Stewart.